Please note: Fundamentals lectures will resume in the near future. "Ani Maamin - I believe". These two words define/d Jewish life for thousands of years. Do you ever wonder where this belief comes from and what it is all about? In this class we will examine our core belief and how every Jew acquired it. “For both souls” - we will also explore a scientific approach to Judaism's belief in G‑d. As Jews, we exert tremendous effort in making sure that the food we eat is 100% Kosher. Worldwide there are an estimated of over 11,000,000 Kosher Consumers, over 100,000 Kosher certified products and more than 15,000 manufacturers who have acquired Kosher Certification in the last decade. In this lesson we will go back to basics and explore Kosher from all angels. We will learn its primary reasons, laws and customs, and understand why there are literally hundreds of scholarly books on this important part of Jewish life. Torah is extremely broad and has literally tens of thousands of books. In this class we will explore Torah's history and structure so that you walk away with a good understanding of its beauty, depth and construct. We will explore the Holy Shabbat from all angles starting from the Biblical verse, to the Talmud and Kaballah. We will examine Torah's definition of work and rest and why one may be permitted to "toil" in one domain but prohibited from lifting a stone in another. 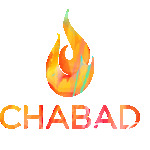 Join us to get a thorough understanding of what Shabbat is all about. The Torah says that G‑d created mankind in His image. Sounds good, just one problem - G‑d has no image?! In this class we will get a Birdseye view of the four spiritual worlds, which will give us a deeper understanding of ourselves, our world and of course the various dances of angels. As abstract as these concepts may seem, Torah gives us the tools to understand them on some level and when we do, its extremely refreshing and uplifting.